3D Printing News tracks developments in the world of 3D Printing, Additive Manufacturing and Rapid Prototyping. The world of 3D Printing continues to grow at an astounding rate, and we at 3D Printing News aim to provide our readers with the information they need to keep up to date in this rapidly changing industry. Each posting will bring you the detail of new materials/processes, updates on the key industry players along with interesting applications and case studies. 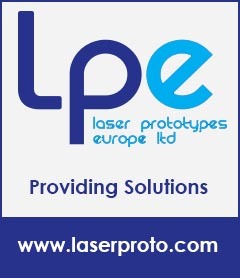 3D Printing News is brought to you by Laser Prototypes, the longest established Rapid Prototyping Bureau in the UK and Ireland, with almost 20 years experience in the design and development of high quality prototype models. We hope you join us on our exploration of the 3D Printing/Rapid Prototyping world and welcome your feedback along the way.